The site is situated on a steep hill right above the village of Sv. Ana, at the altitude of 215.36 m a.s.l. The earthen fortification rises around 40 m above the village. It consists of a higher, prominent northern elevation, of an elongated oval to almost rectangular layout, measuring 32.5 x 19.5 m (N-S x E-W), and a smaller elevation in the south (possibly a guardhouse controlling the access? ), with a complex of a ditch and bank. Between them runs a ditch around 20 m wide at the base. The entire complex includes also a large natural plateau on a lower position east of the main elevation. The short four-day investigation yielded extraordinary results that have broadened our knowledge about this type of site, which is presently still insufficiently investigated in Croatia. The excavated test trench measuring 10 x 1.5 m covered the western peripheral part of the main elevation, extending towards the centre of the earthen fortification. 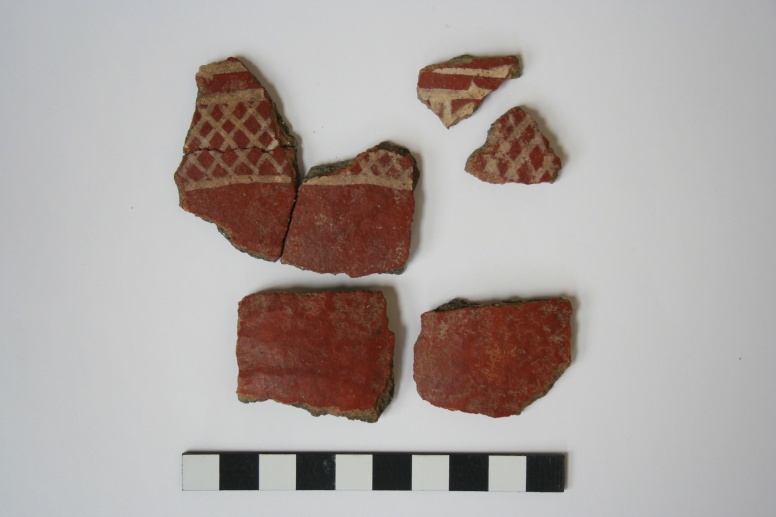 Two cultural horizons with a series of post-holes belonging to a timber structure were ascertained, as well as several refuse pits with finds of late mediaeval tableware and kitchenware, animal bones and a few glass and metal objects. The densely laid out post-holes belonging to supporting timber posts and their relatively large diameters seem to point to the existence of a timber construction that may have supported a massive building, possibly a timber fortification. Alternatively, based on the finds of tableware, this may have been a residential tower of a nobleman. Nevertheless, for a more precise definition and determination of the layout of this potential structure, a larger area should be investigated. 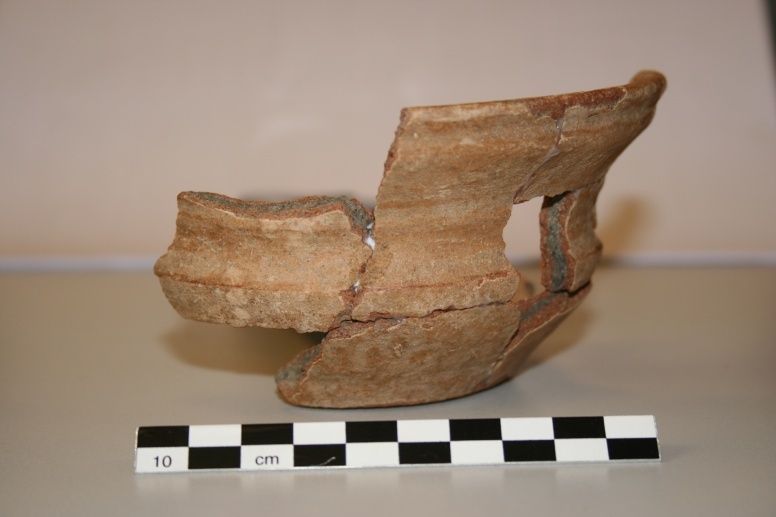 Based on the typo-chronological analysis, the ceramic assemblage from the test excavation at Sveta Ana-Gradina can be attributed to the period between the 13th and the mid-15th century. Radiocarbon analyses point to an even older date (the first half of the 13th century). Tkalčec, T. 2011, Probna arheološka istraživanja visinskog gradišta Sveta Ana – Gradina 2010. (Archaeological Trial Excavations of the Hill Fort of Sveta Ana – Gradina 2010), Annales Instituti Archaeologici, VII, 45-49.